It's been many years with the graphic unchanged and along the way we have been continuously improving small details. The adjustment clips have gone through a big evolution to prevent the corrosion that affected them (we had to chrome plate the 316SS pins! ), and the clip bodies were made stronger as well. Small adjustments to the layup and material specs were made for the Race 190-240, and for this year, there is a wide tail slalom version of the Slalom 170-230 (the tail piece retrofits both the Wave 170 and 140). The new grip design is a 'statement' for 2012, and also has less pieces and a slightly harder character to improve durability. So the boom is 'new' in a sense, but it is still the same old super strong, stiff, perfectly shaped one you might have known before. Using moulds developed and owned by MauiSails, and designs with unique bends and diameters, assures that our full range of carbon booms is exclusive to MauiSails in every regard. 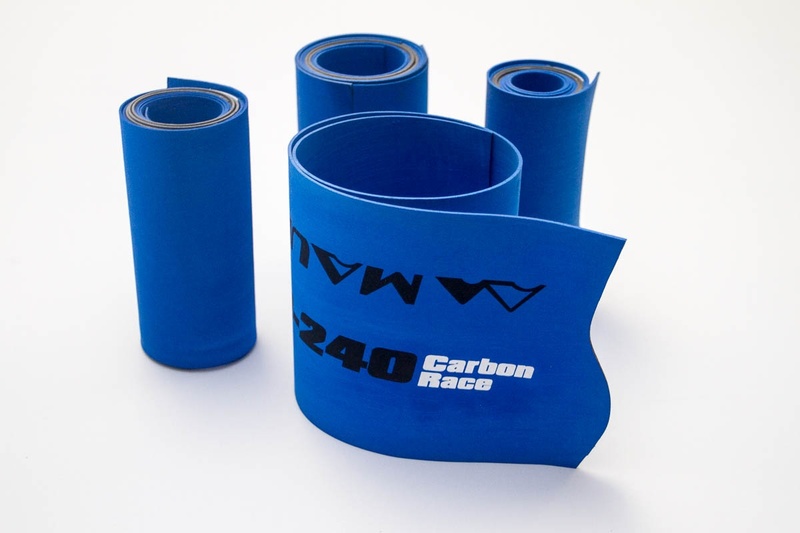 All plastic parts are designed, developed, and molded to create these special products, the recognized highest standard of carbon booms in the windsurfing industry today. Huge steam heated press moulds are the core of the complex process. These state-of-the-art carbon booms are formed using pre-preg carbon fiber to produce the best weight to stiffness possible in composite carbon construction. 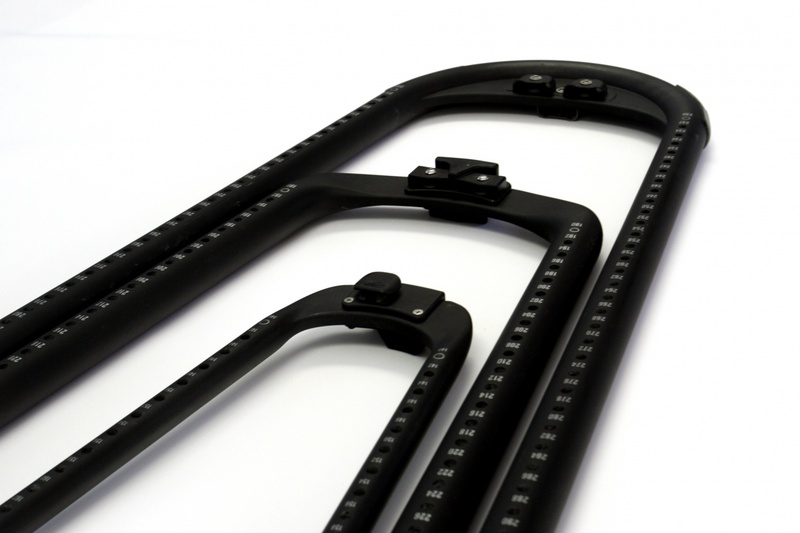 The tested and proven proprietary frontend is designed to perfectly mate with the 40mm diameter monocoque boom arm. Each boom size is purpose specific, from the Carbon Race 250-310 with large diameter tubes and continuous tail piece with built-in adjustable outhaul pulley system, to the Wave 140 with full length 30mm grip for super hand comfort and control. 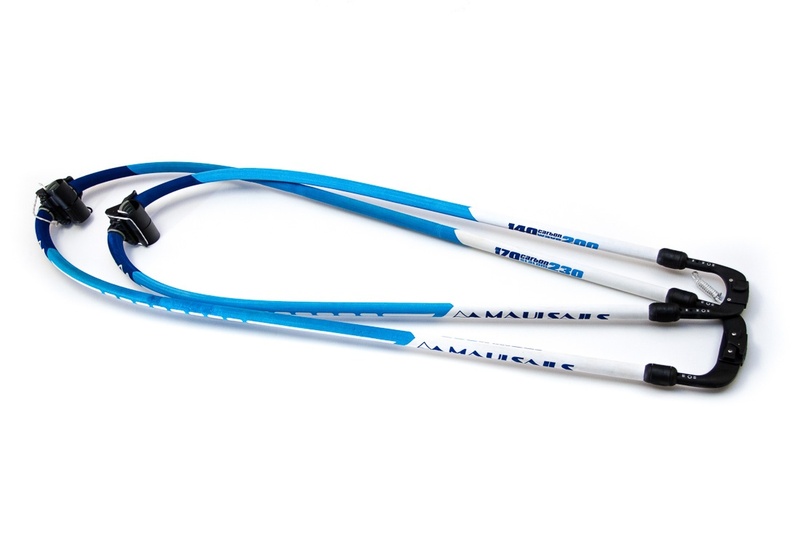 High Stiffness to Weight with double tapered tubes. Race booms are 40mm at the front and back, with 35mm diameter backends, and are the stiffest in the industry. 50 - 60 cm length adjustment covers a large number of sail sizes. Smaller 30mm diameter of the wave booms makes for comfortable grip. Monocoque Construction in Pre-Preg Carbon for maximum stiffness and durability. Efficient energy Transfer with MauiSails designed Front End configured for Formula Race Boom performance and available on all MauiSails booms. MauiSails Front End designed for easy on / easy off function. 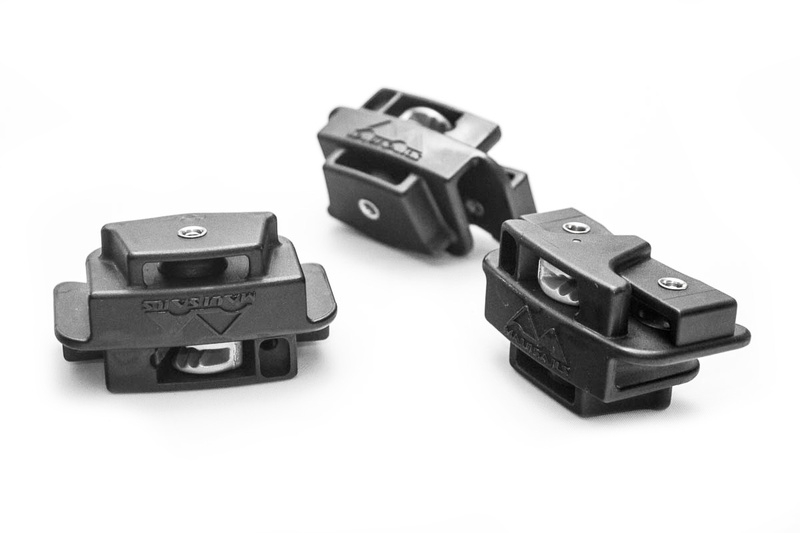 Boom adjustment clip bodies modified for greater durability and strength. MauiSails Front End features 25% more surface contact (120mm) with mast to reduce stress on mast connection with zero slippage. Included Adjustable Outhaul kits and Wide Tail backend with Race booms and Carbon Slalom 170. 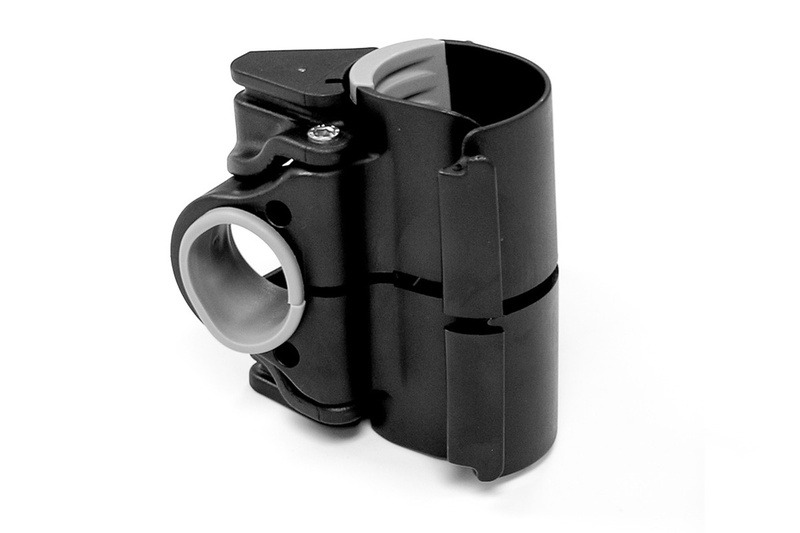 Redesigned Double Pin Rear End Clips increase durability, stiffness and torsion rigidity. Molded Precision produces perfect tolerance between the Boom Body and Rear End for smooth and easy adjustment. 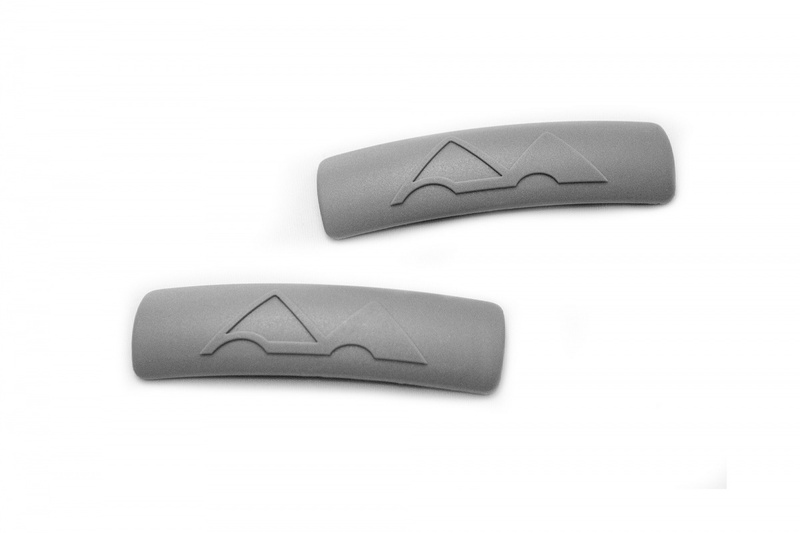 High Performance grip surface is durable and easy on the hands. THE TEAM tested and approved Boom Arm Curves and Overall Width (Arm to Arm distance) maximizes sail performance. Please note that all MauiSails WAVE Carbon Booms comes with RDM boom shim included and all SLALOM and RACE Carbon Booms come with Adjustable Outhaul System included. The MauiSails boom head and clamping lever is designed to be used with the MINIMUM tension required to keep it from slipping on the mast.  DO NOT OVER-TIGHTEN or you will risk damaging the part. All metal parts are subject to corrosion. To keep your boom and its small metal parts in top shape it is recommended to thoroughly rinse with fresh water after each use, especially the tail clips and pulley assemblies. If your boom arm has a different arm diameter than 36mm or 40mm you can alwasy build up a thickness in front end area. 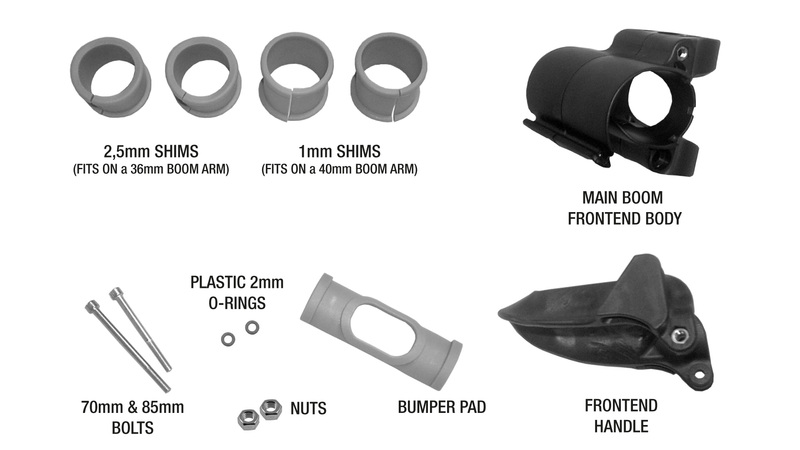 If you are going to use our boom head with RDM mast you will also need this boom shim. It was designed specially for MauiSails Boom Head. 27mm diameter dedicated for 130/140/ 170 wave carbon booms and 170 Slalom boom. Fits on MauiSails boom arms 30 and 40mm outside diameter. 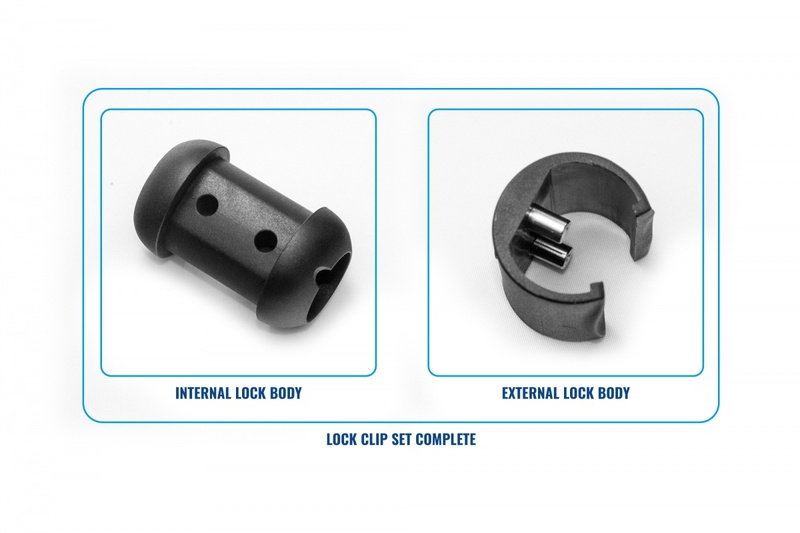 The adjustable outhaul kit comes with one piece 4mm adjusting line, two pieces of 5mm tensioning line, two pulleys, plastic ClamCleat bands, two rubber filler pieces, four 8 gauge stainless steel screws, and two coated aluminum ClamCleats. You will use the rubber spacers if you want your cleat band to be on the bare carbon. There is no need for this when the band is on the grip area. Replace a grip on your boom and enjoy the ride for another few seasons. Set includes two EVA grips, one for each side of the boom. Here is a boom regrip VIDEO GUIDE where Phil McGain will take through EVA changing process. Step by step with valuable tips.